at theGE2016 count in Ennistymon. Photograph by John Kelly. 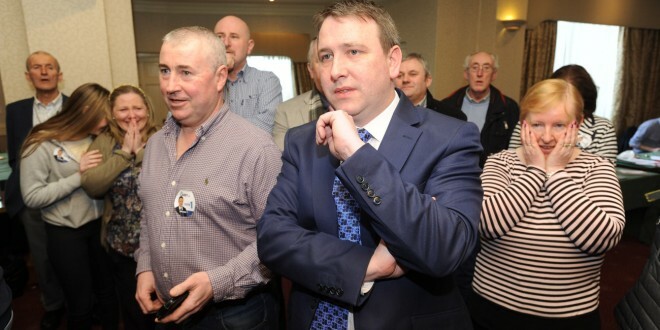 THREE of the four TDs addressed the crowd at the count centre in the Falls Hotel, with Timmy Dooley the sole absentee. Acknowledging things didn’t look good a few weeks ago Joe Carey said, “When the Clare Champion poll came out we were fairly down. People said we’ll give you a vote but you probably don’t have a chance,” he said of the poll that predicted his political demise. 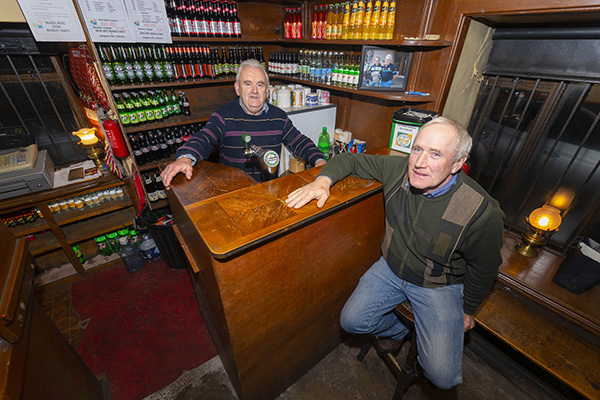 He quipped, “I’d like to say thank you to the Clare Champion,” something that was met with cheers and laughter from his supporters, who were in flying form after their man’s win. 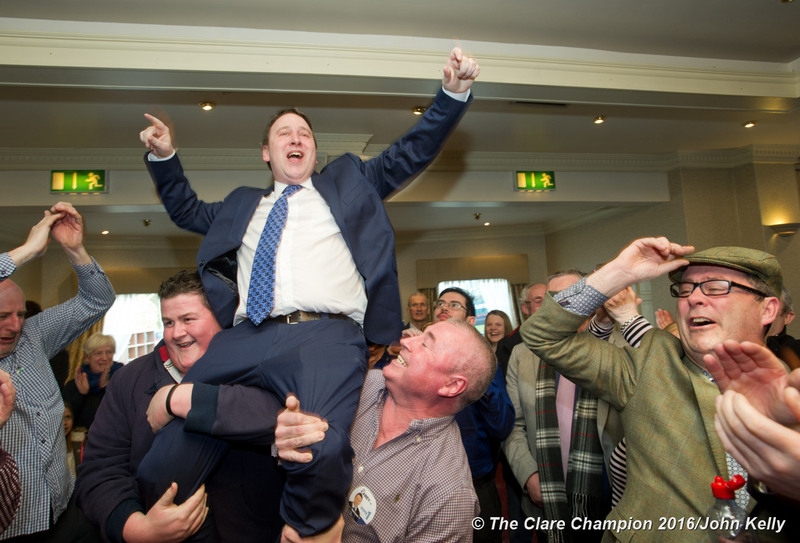 Joe Carey, Fine Gael, celebrates his election at theGE2016 count in Ennistymon. Photograph by John Kelly. Pat Breen said it it was “a very difficult campaign” and promised the four TDs will work for the county which he says must benefit from the recovery. Michael Harty praised his team, saying sometimes there were more people involved than places to canvass such was the support. He praised everyone who put their name forward saying it takes a “special person” to do so.